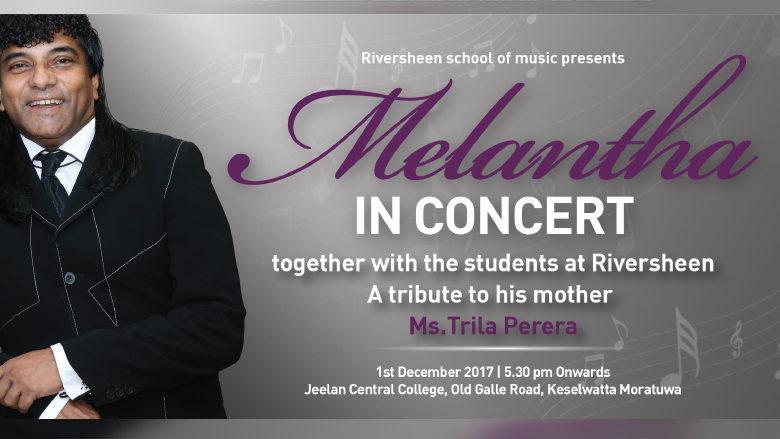 Melantha's music school "Riversheen", will be showcasing the extraordinary musical talents of his students at his debut concert. MELANTHA in Concert 1st of Dec 2017. 1000 seats capacity Air condition Auditorium Jeelan Central Collage Moratuwa. You donate 10% of the proceeds from this ticket to Lunawa hospital development fund. We will keep you posted of further developments on this project. Hope you continue to find and fund interesting projects on our platform. We are a crowdfunding platform promoting projects and ideas of individuals, groups, communities,organisations, companies’ etc. among the general public, with the intention of making a positive impact not only on the indivudual but also benefitting society as a whole. Trustworthiness, honesty, transparency and communication are keys to success, which allows us to be an effective medium for all parties. We cordially invite you to be part of this dynamic revolution! Mobile app connecting animal lovers across Sri Lanka, providing real-time help to stray. Let me show my products to the world.